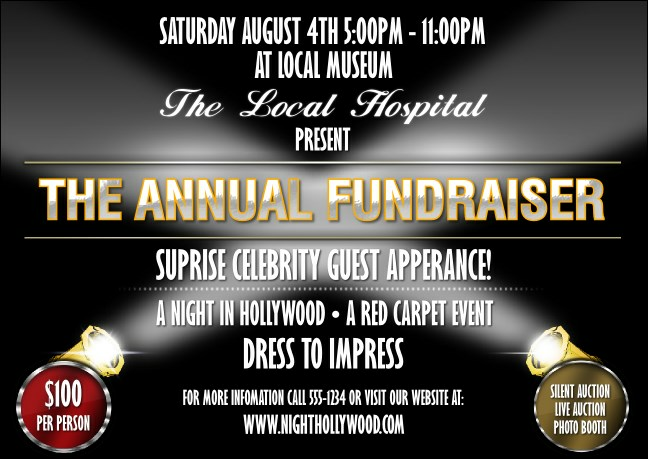 Shine the light on your cause and add the Hollywood Lights Postcard to your cast of promotions. The rich black background holds all your event details in both red and white text. Send to your guest list or leave with participating businesses to find more fans!